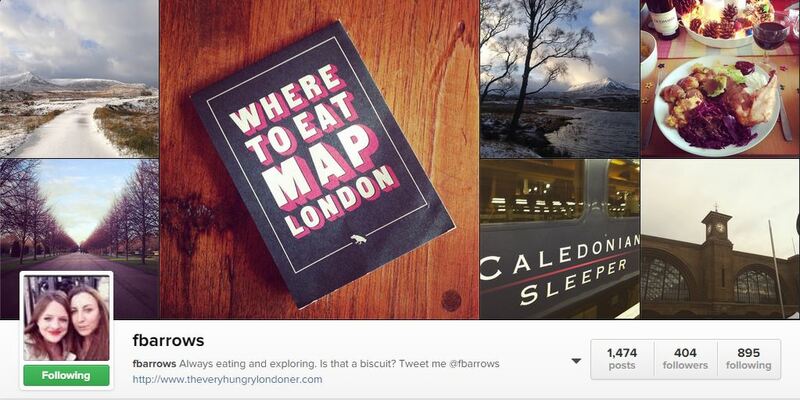 Call me a little late to the party, but this Instagram thing is rather good, isn’t it? Sign up to a few of the right pages and you get a constant feed of wanderlust-inducing and appetite-building pictures (and videos) straight to your phone or computer. Although I follow quite a few bloggers and travellers, there are a handful that have me double-clicking for a heart in a, well, heart-beat. 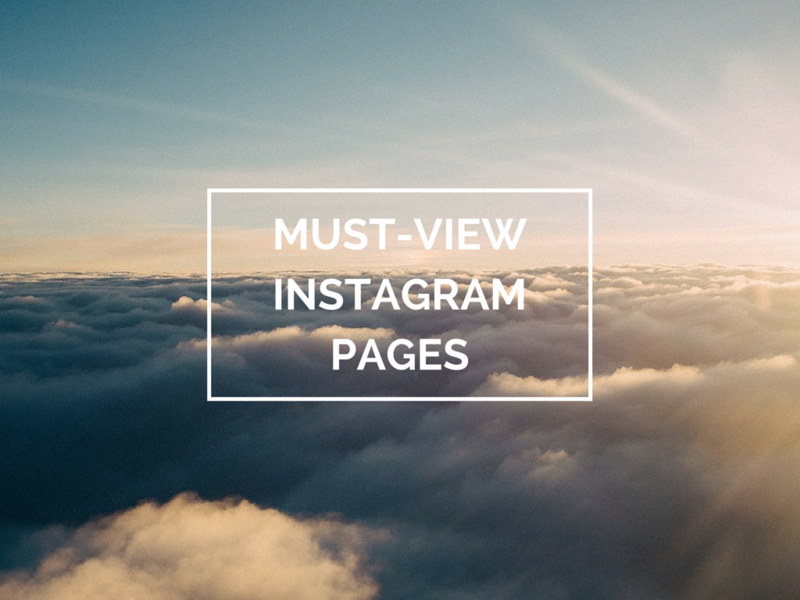 In no particular order, here are 12 Instagram pages you should be following for a daily dose of travelling inspiration. Kicking off this list is Angie Silverspoon, whose page of luxury meals and afternoon teas around the world have me yearning for my own slice of luxury. She always features the most beautiful hotels too, making me anxious to get planning holidays! Capturing gorgeous snaps of her travels across the globe, Shikha always leaves me in awe of how much she manages to pack in to her annual leave. She’s also partial to a spot of fancy afternoon tea which wins her bonus points! Currently living in China, Sophie is on a mission to see more of her adopted city Beijing (as well as destinations further afield) and does so with oodles of humour. As a fellow Brit, I could almost sense her excitement when she found a box of Cadbury Heroes in a Chinese supermarket! As well as dozens of incredible wildlife photos (enough of a reason to follow Helen as it is), Helen’s page is full of amazing pictures of her Africa travels, a continent I’ve – shock horror – yet to step foot on. Her photos are always so colourful they never fail to put a smile on my face. 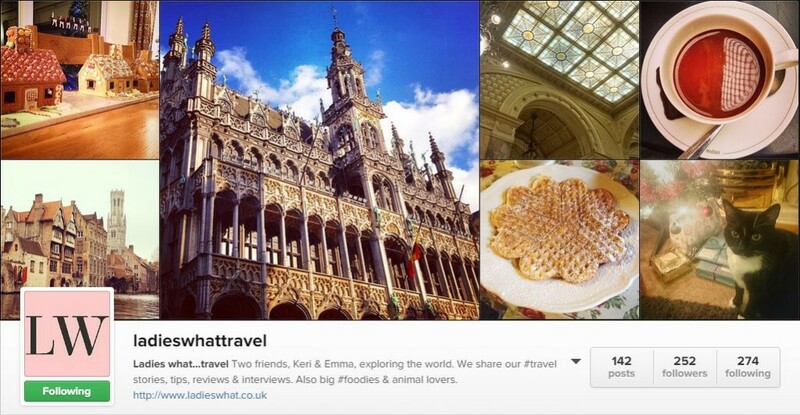 From tasty treats to her many travels, Elle Croft showcases her beautiful photos on her page. Arty snaps of her passport in action often have me reaching for my own passport. Check out her colourful photos of South Africa, but be warned: you may just have to book that Cape Town-bound flight. Frankie’s photos are the kind of whimsical greats I wish I could pull off. Every single one of her photos look like something that’s stepped out of a magical fairytale. Jessica’s Instagram page gives me exactly what my life is lacking right now, namely lots of blues in the form of cloudless skies and open seas. Just flicking through her pictures make me want to hop on a plane to the most exotic place possible. Jessica’s also a fellow part-time traveller, so it’s awesome to see how much she packs into her busy schedule! There’s regularly only one word I can use to sum up Stephen’s picture and that is breathtaking. 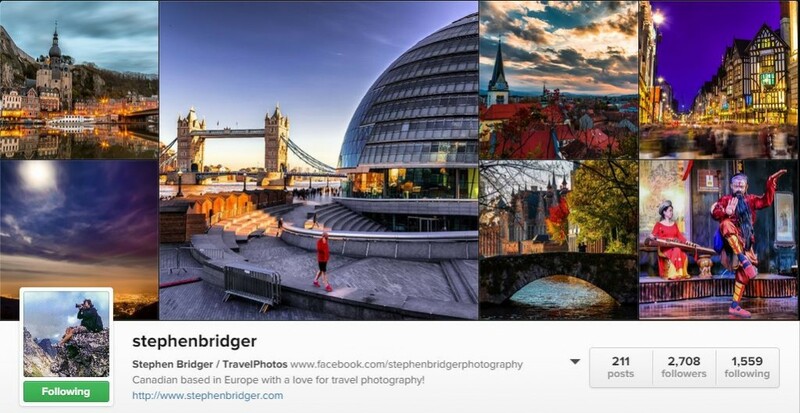 Stephen’s pictures have you following him over bridges, across canals and down side-streets for a different take on Europe’s most iconic destinations. I was introduced to Ryan back in October 2014 over lunch at TBEX in Athens. We got talking about Instagram and he told me that he’s dedicated to only uploading pictures to Instagram that were taken with his phone. This impressed me for 3 reasons. 1) Because anyone who can successfully juggle a camera AND a camera phone must be applauded. 2) I wish my phone’s camera was this good quality. 3) Ryan’s photography is actually awesome, and always looks for a different angle. Fiona’s Instagram page always makes me super hungry, but then with a blog titled The Very Hungry Londoner, I wouldn’t expect anything less. Fiona’s travel photos are also pretty spectacular. I fell head over heels with her recent pics of Scotland! I often think that Keri and Emma, aka the Ladies What Travel, are my real blogging soulmates. Often posting pictures of cosy surroundings, tasty treats and cats, these ladies also seek out gorgeous travel destinations. Their pictures of Bruges are some of my personal favourites. …and yeah, I’m going to be that person and add my own Instagram account to this list (even though I’ve unwittingly ended up as unlucky number 13 – didn’t think this through). As well as sharing pictures of all my travels, you’ll also find heaps of photos of my ginger cats. Come say hi! What are your favourite pages? 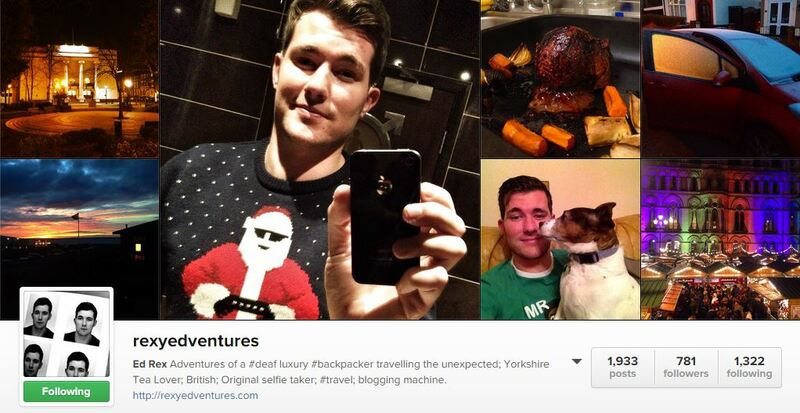 Let me know if you’re also on Instagram! Thanks so much Emily for the mention! I don’t know all of these so now i’m going to get busy following them all! Glad to see you’re enjoying our pics – Bruges was just so camera friendly lol! If we’re not already following the others on this list, we will add them very soon. I am LOVING Instagram at the moment. My profile is http://instagram.com/flashpackerfamily. Currently in Park City UT so lots of beautiful snowy pics! Thanks so much, Petra! 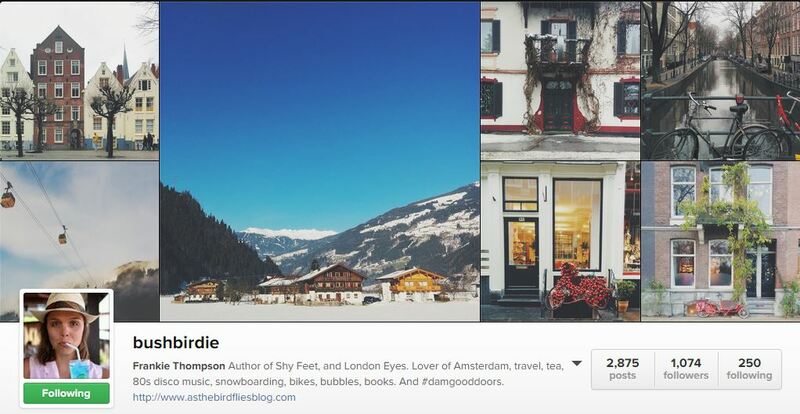 Am following you now – loving your beautiful pictures. 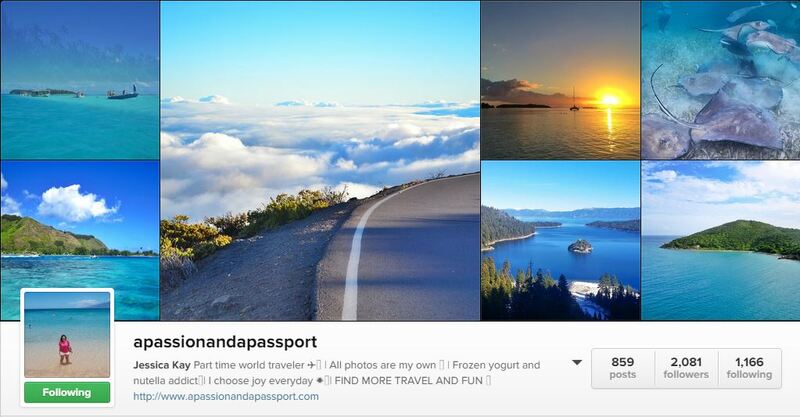 Wonderful list, thanks so much for introducing us to other fellow Instagrammers and travel peeps! Look forward to connecting with you and everyone else on this page! I love posts like this, although they do increase my addiction to instagram. Thanks for featuring me on your list! Happy travels!